Ask these questions so you choose the right Greensboro moving company. Ask these questions so you choose the right Greensboro moving company. There are very few tasks as daunting as moving. You have to get all of your worldly possessions from one place to another, in the same condition they were before. Many people choose to hire movers for this task to handle the heavy lifting and transportation. But before you hire just any Greensboro moving company, you should ask some questions to make sure you are choosing a reliable team, and that you understand and agree with their policies. Here are some of the most important questions to ask. How long have you been in business? Experience is a key component of reliability. Hire a company that is well established in the moving business, not some guys with a truck who only claim to be a legitimate moving service. An experienced company will know how to move your things safely and you can trust that they will be handled with the utmost care. Do you have references? Don’t be afraid to ask for references from previous customers. Any company that has been in business for a lengthy time should have names and numbers you can contact. Actually call them and verify that they used these movers and had a positive experience. Does your licensure cover in-state and out-of-state moves? A moving company should be licensed in the state in which they provide services. But if your move will be taking you out of state, your movers should also be licensed for interstate transport. 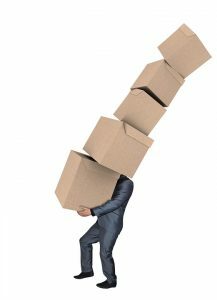 Are your movers fully insured? Be sure to ask about both liability insurance and worker’s compensation. This way you will know for sure that the movers who come into your home are insured in case of injury and that your property is insured in case of damage. What extra expenses can I expect? Ask about added expenses before they are automatically applied. Find out what parts of the move are covered and what is considered extra. Ask about the cost for these extra charges and agree to the terms only if you feel comfortable with them. What are my rights if I’m not satisfied? Are you wondering what happens if your possessions get damaged or if anything goes wrong during the move? Find out before something goes wrong. Ask your movers how they handle disputes and claims. Do I get copies of all documentation? Make sure you get everything in writing. Get copies of all official documents, especially everything you sign. You may need to prove whether or not something was disclosed to you before the move in the case of a dispute. Don’t let the movers hang onto the only copy of the paperwork. Don’t hire any company that doesn’t provide satisfactory answers to all of these questions and any others you have. You’re trusting this business to safely transport all of your things from point A to point B. That’s a lot of responsibility. A premier Greensboro moving company like Steele and Vaughn will expertly handle all of these questions and more. Call today to schedule your moving date: (336) 273-0546.